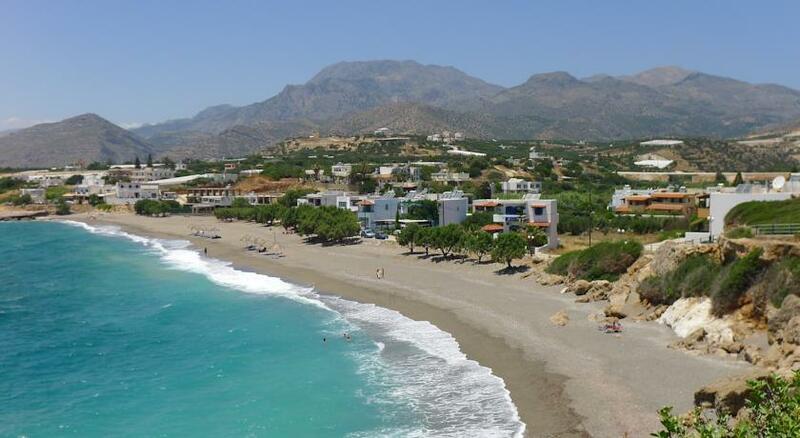 Nestled on the southeastern coast of Crete, next to some of the best beaches on the island, lies the warm and friendly resort of Villea Village. 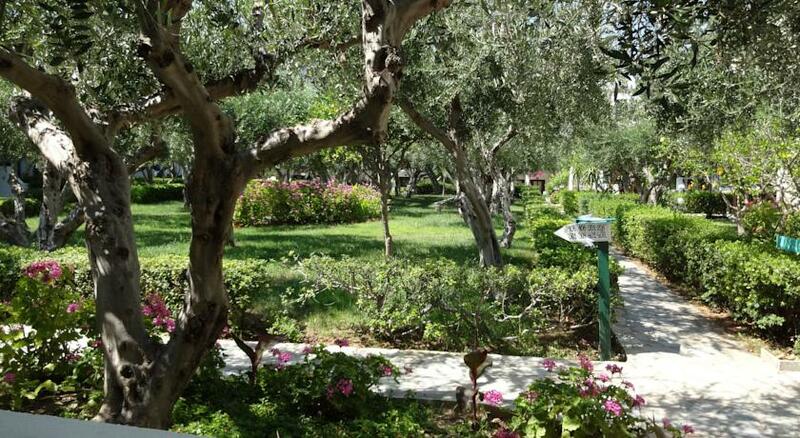 The resort is on the edge of the village of Makry-Gialos and boasts a verdant and tranquil garden with a large swimming pool and Fisherman Jack’s pool bar. 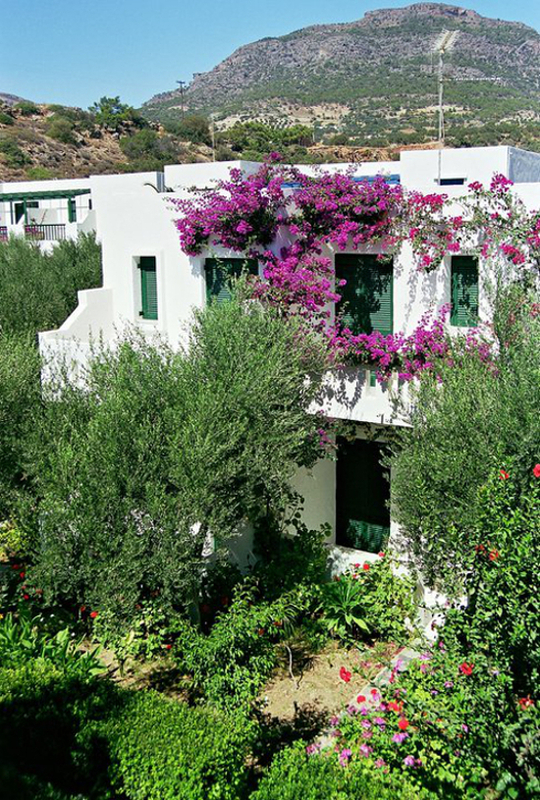 The name Villea Village derives from the abundant and colourful bougainvillea which you will find flowering and climbing up the typically Cretan whitewashed walls of this 70 room boutique resort. 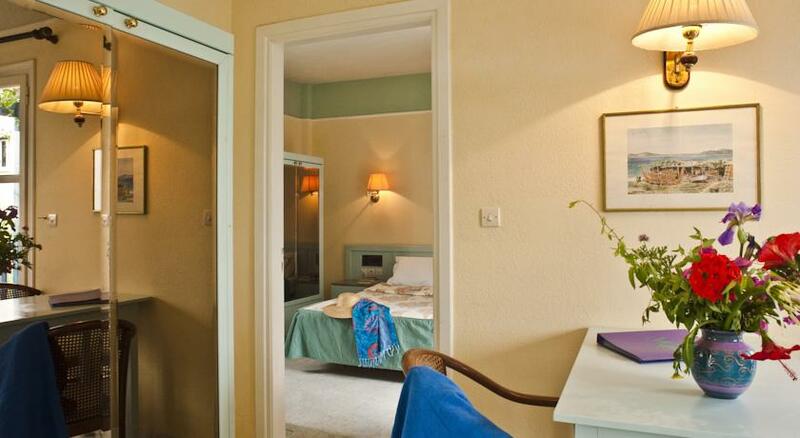 Wake up surrounded by the olive groves with the distant mountain views framing the blue Cretan sky. Rooms are spread amongst the indigenous olive orchards and are designed in a traditional Cretan style with rustic furnishings. All feature a verandah overlooking the pool or patio, or a balcony overlooking the inside gardens. 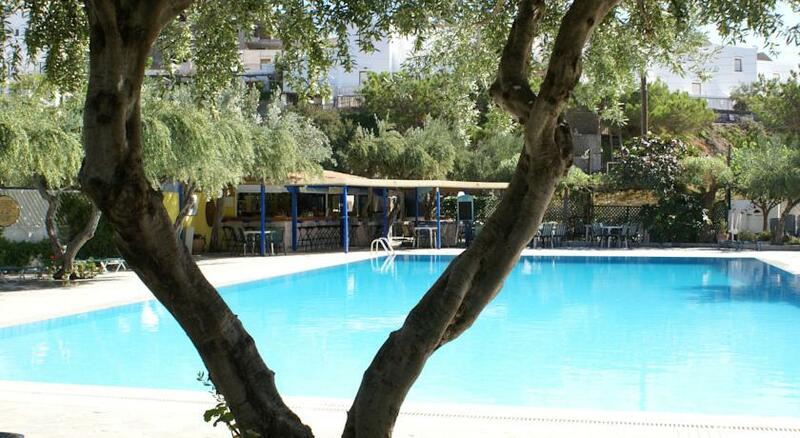 The large pool is built under and surrounded by olive trees, so that when you laze these trees act as natural and fragrant umbrellas to shade you from the glorious Cretan sunshine. Surely the highlight of this resort, Villea Village is located just 50 meters from the beach as well as a short drive from a plethora of additional pretty coves and beaches tucked in along the coast. The local beach is gently shelving and sandy, so ideal for children, and the water is so clear that even when you have waded in up to your chest, you can still see your toes underneath! 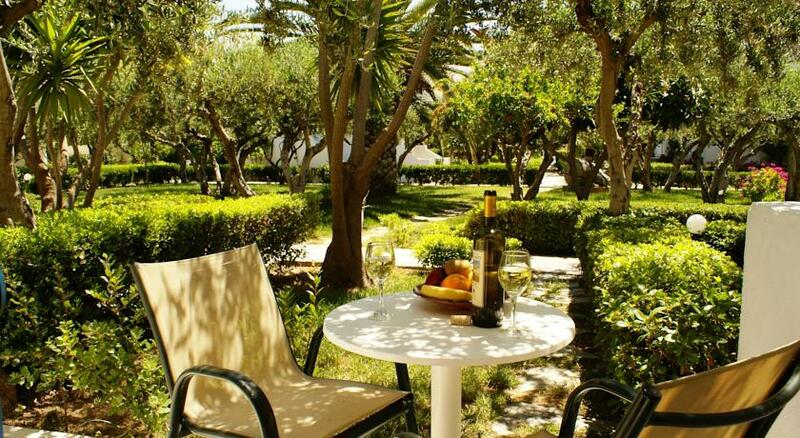 In Greece the family is important and the friendly atmosphere in Villea Village originates from the staff, most whom have been with the hotel over 15 years and most come from the local village so are passionate about their rather special corner of Crete. 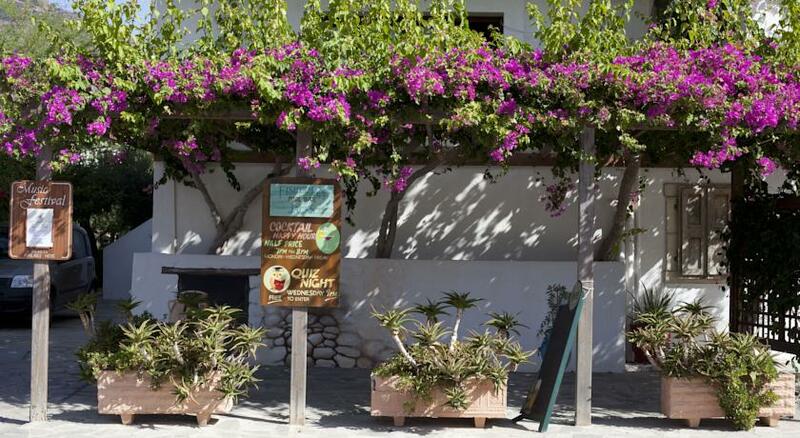 Villea Village prides itself in serving locally sourced ingredients for breakfast and light meals from the pool bar during the day, all prepared by local cook, all very authentic and a delight for those seeking culinary authenticity. A highlight of each week is Greek night at the resort which is held around the pool with live music, dancing, locally made food, wine tasting of local wines and cocktails at Fisherman Jacks-pool bar. Around 20th October you can experience “moonshine” week which is based around the legal distillation of the local raki and guests are invited to participate along with enjoying specialty foods, Greek dancing and live music. The local village of Makrigialos is a working village and does not simply rely on tourism which adds to its charm and makes it a very laid back, relaxing but authentically Greek holiday destination. Locally you will find many Tavernas, lounges, the pharmacy, wine store, supermarkets, bakery, tourist shops for pottery, jewellery, souvenirs all within easy walking distance. There are many gorges and hikes for walkers, scenic drives, beautiful beaches and authentic mountain villages. This area of Crete is relatively undeveloped which results in warm and friendly locals and unique uncommercialised local cuisine usually fresh from the farmers to the table!! For Archaeology buffs, this part of Crete is close to many ancient ruins. The day trip to the Island of Chrissi, or to Spinalonga is always popular and you can also rent private fishing boat locally to catch your own dinner. Villea Village is not for the luxury traveller seeking glam, fancy, five-star accommodations, but for those seeking the luxury of true relaxation in an environment where you can be respected for just being yourself. 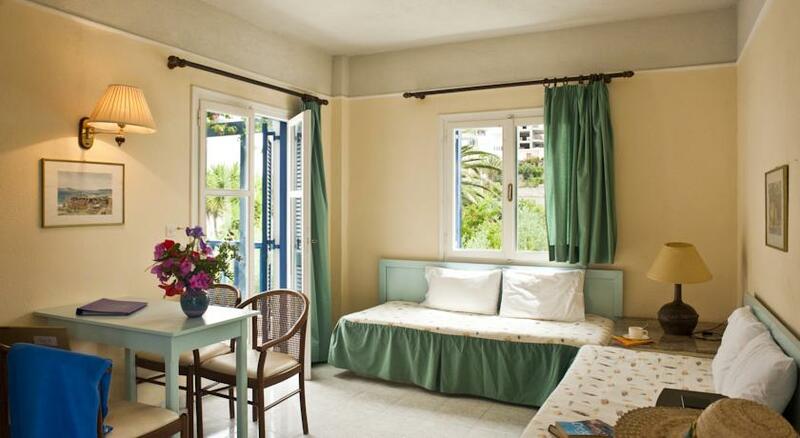 Slip on your flip-flops, eat the good food, drink the local wine, relax in the sunshine and absorb the Grecian charm of this delightful seaside gem.